Urgency in that answers and actions are needed as soon as possible. The entire system is collaboratively engaged in the process, inspiring energy, commitment and shared leadership. Participants are more creative and innovative in their approaches and they accept responsibility for what does (or does not) happen in the room. Communication is self-managed and connections are forged and reinforced for continued action and communication, even after the event. There is a concrete, business issue of passionate concern to those who will be involved. Keep it simple (KISS). OST is an “organic” approach to group dynamics. Where many meetings are about control, OST assumes that people will (and they never let us down) self-manage their activities, given a few guidelines. There are no one-size-fits-all meeting plans here. Kristin uses a 4-step process to create and facilitate meetings that are customized to your outcomes, company culture, and the players involved. Kristin talks with the meeting sponsor and gets crystal clear on the objectives. She’ll help you turn your general ideas into targeted deliverables. In designing a meeting, Kristin’s goal is to truly “step into the shoes” of the people involved. She goes to great lengths to understand your company’s issues, culture, and unique challenges. Before the meeting even begins, Kristin solicits the ideas of meeting attendees to discover areas of agreement—and where they don’t agree. 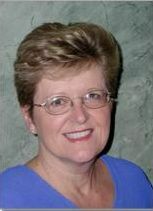 She deploys a variety of tools and techniques to gather data, including attendee interviews and Web-based surveys. The result? A meeting uniquely tailored to your group, that engages participants and gets your goals accomplished. Kristin guides the conversation and keep things high-energy and on track. During the meeting, she captures action steps as they arise. At the end, she confirms any agreed-upon action items that need to be done, and who is accountable for them. Your meeting is only as good as the actions that come from it. 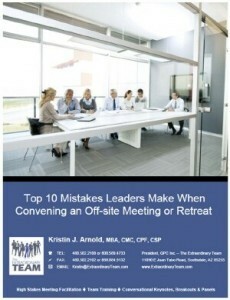 Kristin ensures there’s a structure in place so you can maintain momentum. She’ll evaluate the session with you to create next steps. Thank you so much for leading us through a complex path forward. You have truly made a difference for our strategic direction. Contact Kristin for more information about how you can convene a group together using Open Space Technology.